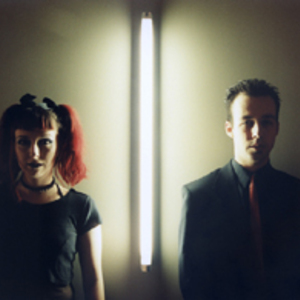 Epsilon Minus was a EBM/techno/trance band from Canada formed in 2000 by Bogart Shwadchuck and Jennifer Parkin. They signed with Belgian record company Alfa Matrix to release their first album in 2002. Jennifer left in 2003 to start her own project, Ayria. Bogart continued the band solo, releasing records in 2003 and 2004 with help from collaborators The Azoic, Distorted Reality, Null Device, and Stromkern. Bogart officially disbanded the project in 2005, and has since formed the netlabel Full Code Media to independently release his future projects.